Pop, fizz, clink! Los Angeles Homes party mood is on! The New Years is almost here and if you are planning a big 2015 then start it with style. Hollywood style is all about, out with the old and in with the new! 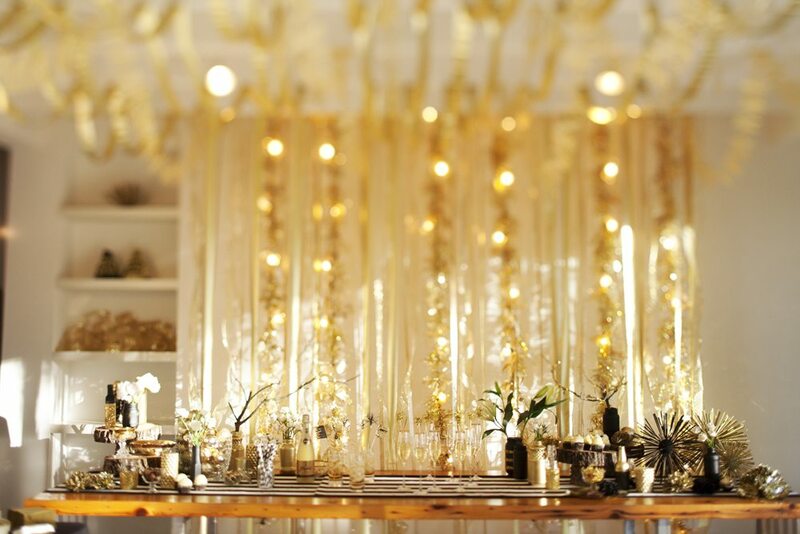 Los Angeles Homes rounded up some decor ideas to make your party one sure not to forget. All that glitters here is gold! Fashion Chic 2015 with stream garland and streamers from the ceiling down to the walls. More at The Sweetest Occasion. Black and white party, with a little touch of mystery and a lot of style you can create a party ambience full of good design touches. Rustic Chic makes a glamorous 2015. 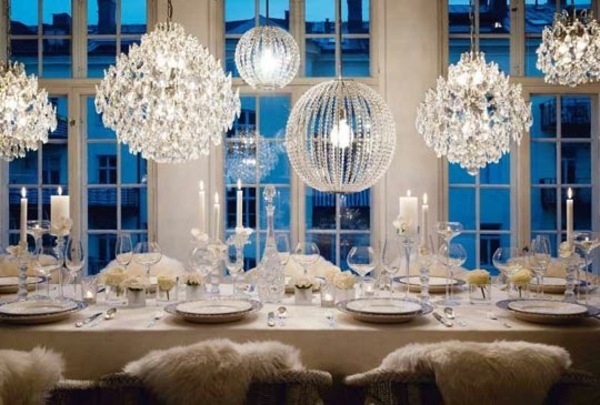 Decorate your party space in an array of glimmering chandeliers, sheepskin chair covers, and decadent crystal. Start your 2015 in bloom. Mix glittery gold with black and white stripe and a splash of dazzling flower arrangements. So cherry chic. More at Green Wedding Shoes. A circle garland and a sequined tablecloth and the party is on for 2015. Don’t forget not to overload it and you have an winning design.